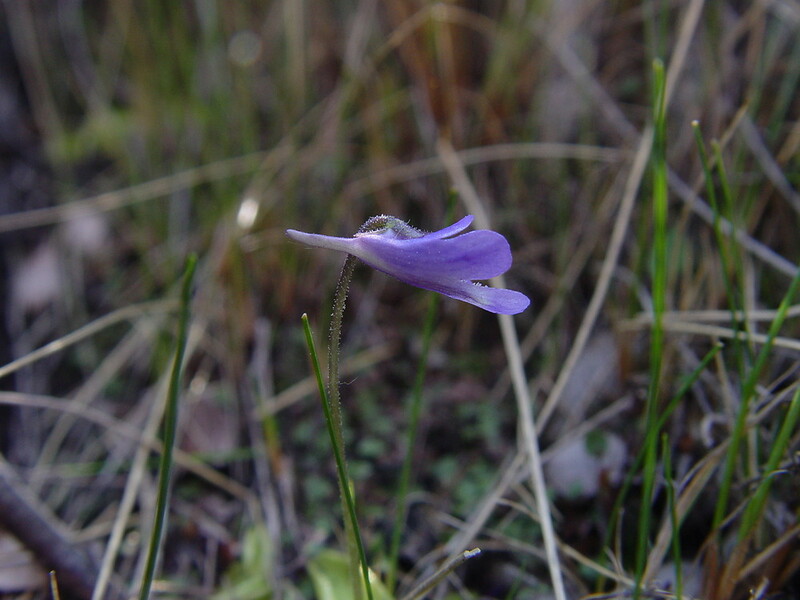 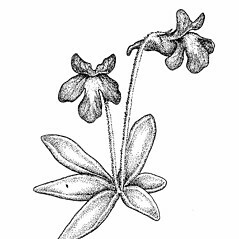 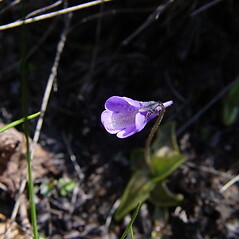 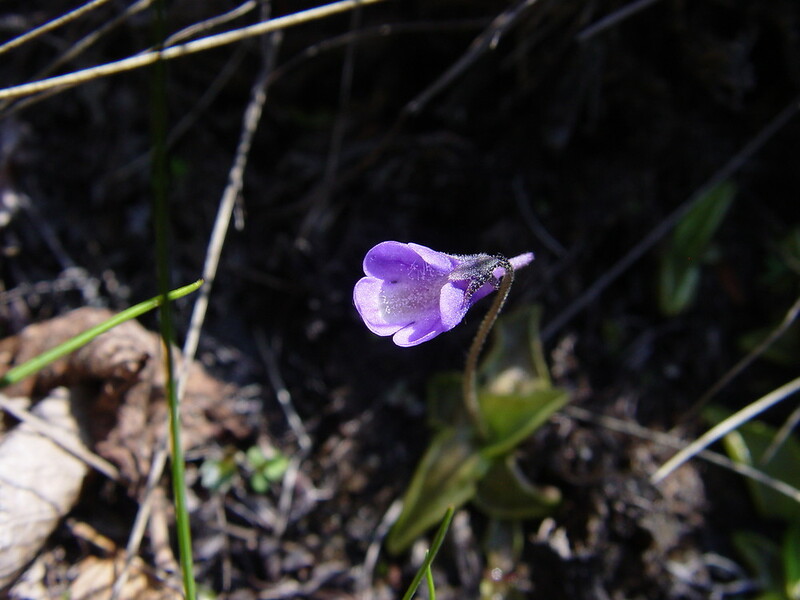 Violet butterwort is a carnivorous plant that catches unwary insects on its sticky leaves and digests them with enzymes exuded on the leaf surface. 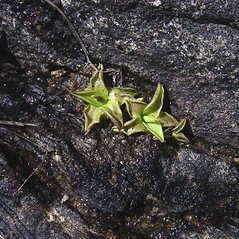 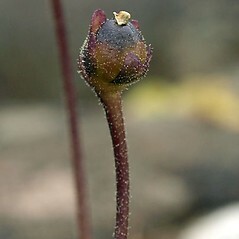 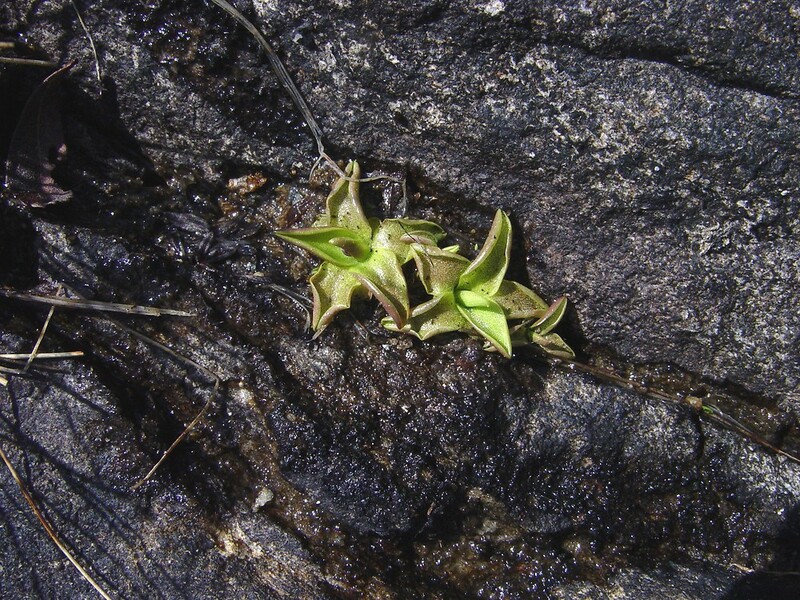 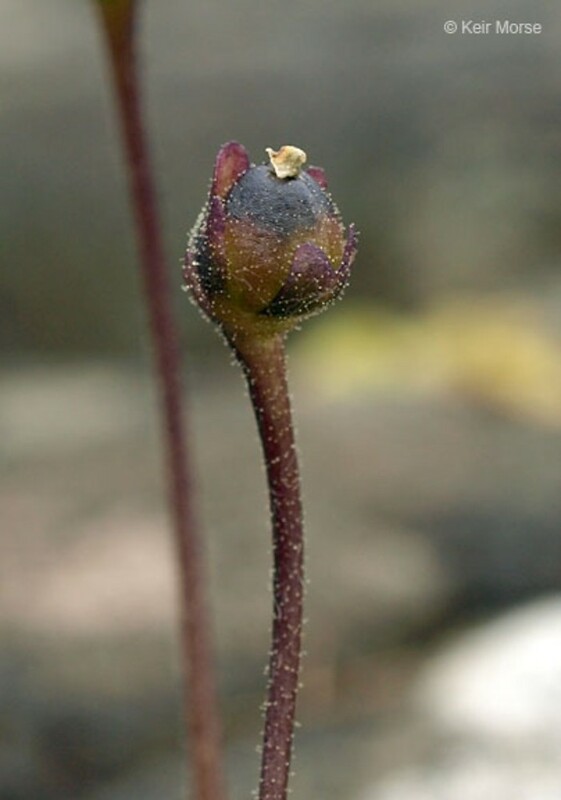 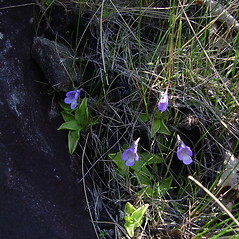 It is an extremely rare plant in New England, found on boreal and subalpine cliffs, gullies, and slabs, often in the presence of high-pH bedrock. 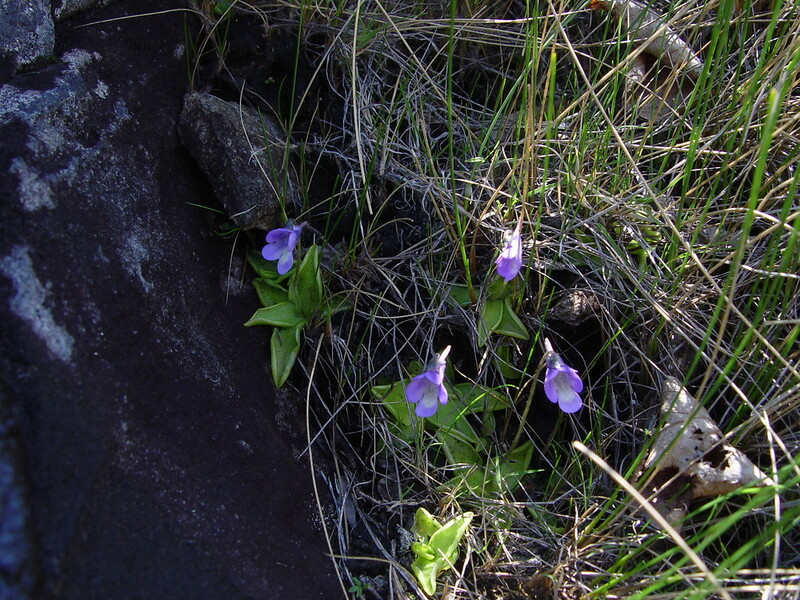 There are a few populations known in Maine, New Hampshire and Vermont. 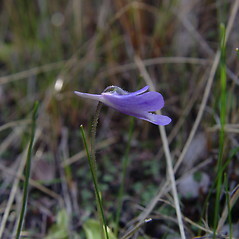 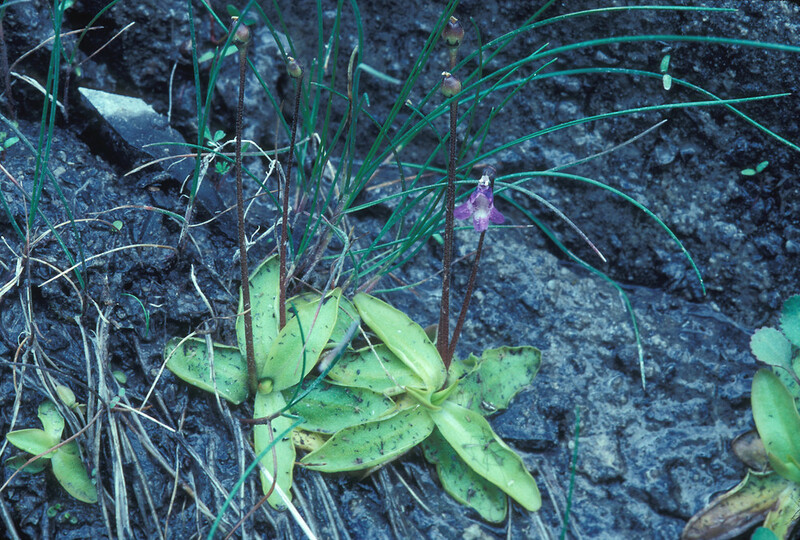 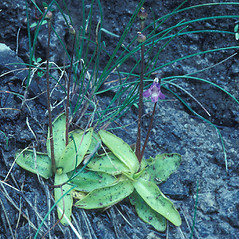 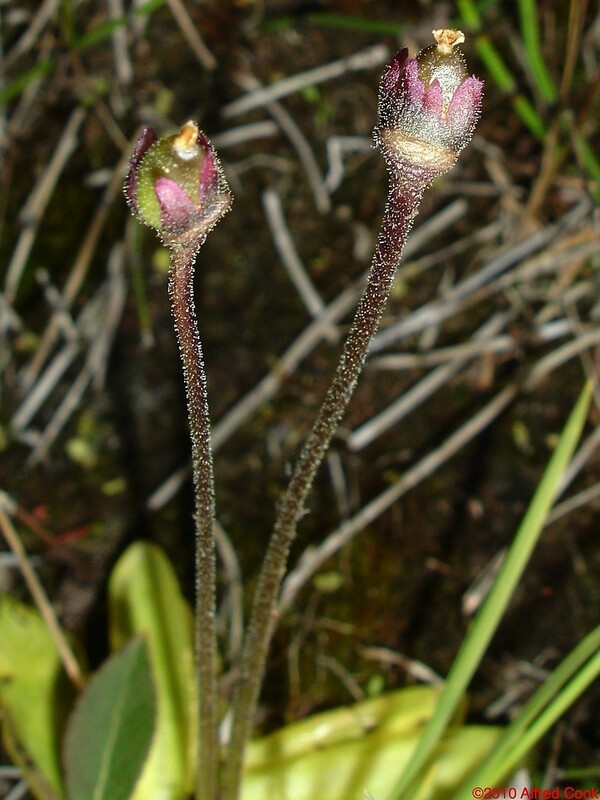 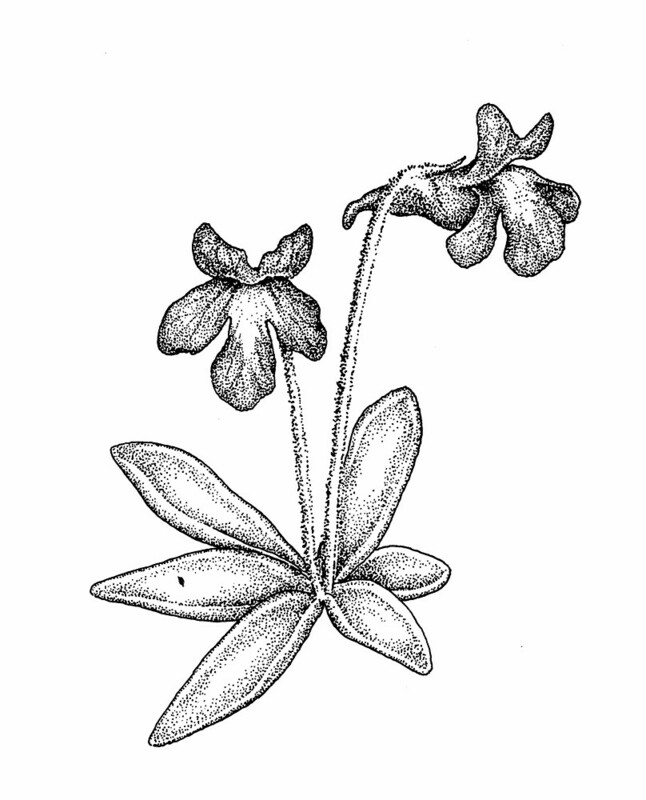 Our subspecies is Pinguicula vulgaris L. ssp. 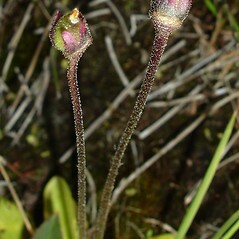 vulgaris. 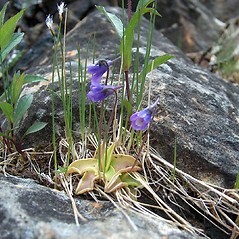 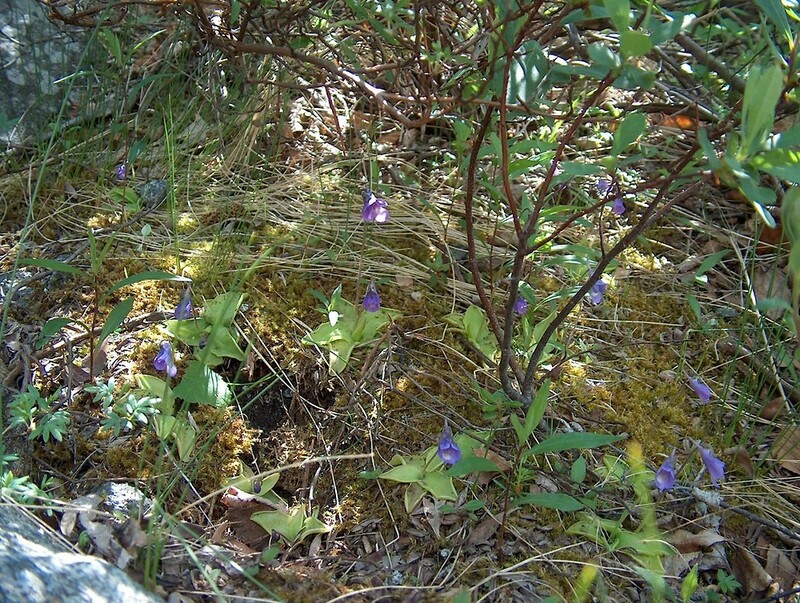 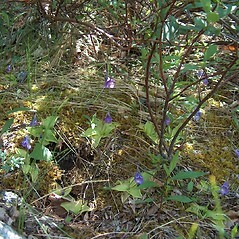 violet butterwort. 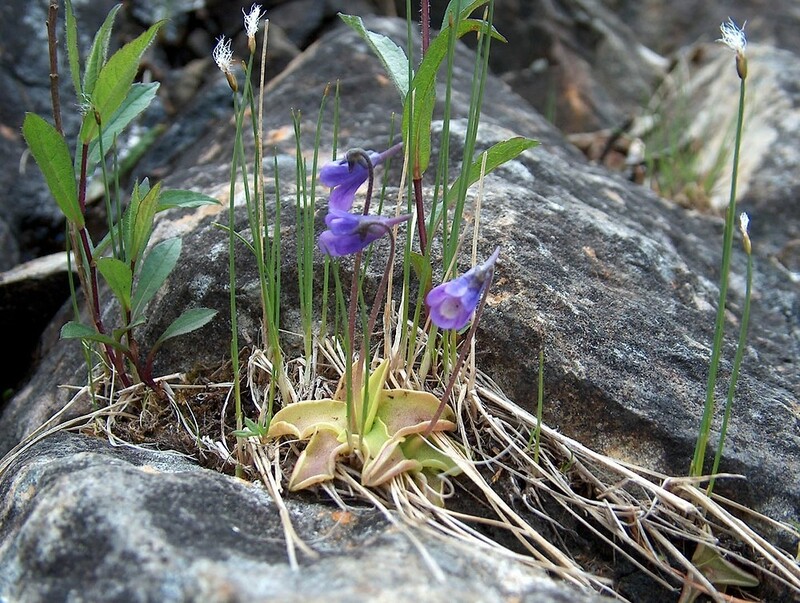 ME, NH, VT. Boreal and subalpine cliffs, gullies, and rock slabs, often associated with high-pH bedrock.